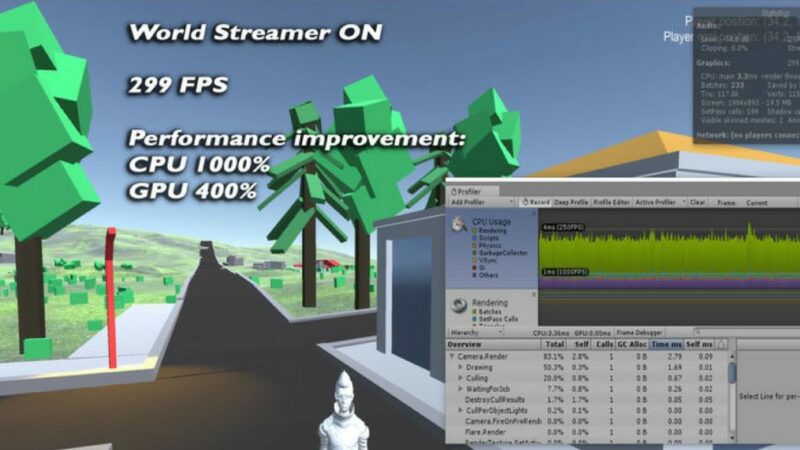 World Streamer is a memory streaming system. By using it you are able to stream whole your game from a disc in any axis and space. You are able to create endless space games, 2D platformers, 3rd person, or any kind of game you want without loading screens during player movement. You could also create endless looped world. 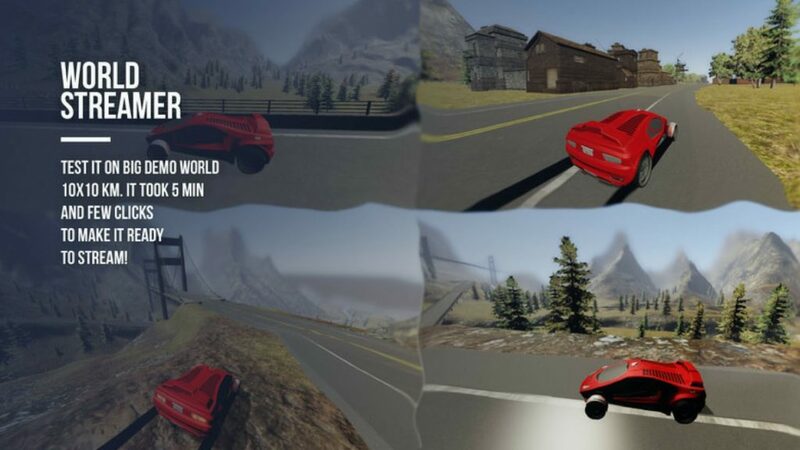 In few clicks your game is ready to be loaded from your disc! Now your scenes are as big as you want, without any limits. You could work on local area and update world by 2 buttons. 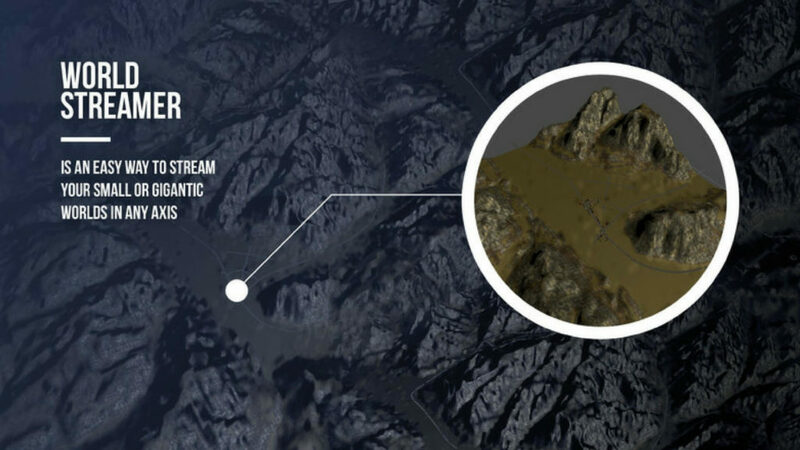 You could also separate your world into layers like: lighting, ai, geometry or even separate them into local areas. It's perfect soluton for teams that work on the same area. World streamer is also useful for architectural presentation or in any application that you need to use as low memory as possible. With streaming you will reduce objects count in your scene. Thats will save your cpu,gpu power and you will only load them if they are necessary. Collider streaming give you ability to stream rooms and floors, only when player will hit room/floor area collider. You could build whole towns with interiors without performance hit. Ring streaming will replace your unity terrains by low poly meshes in far distance. 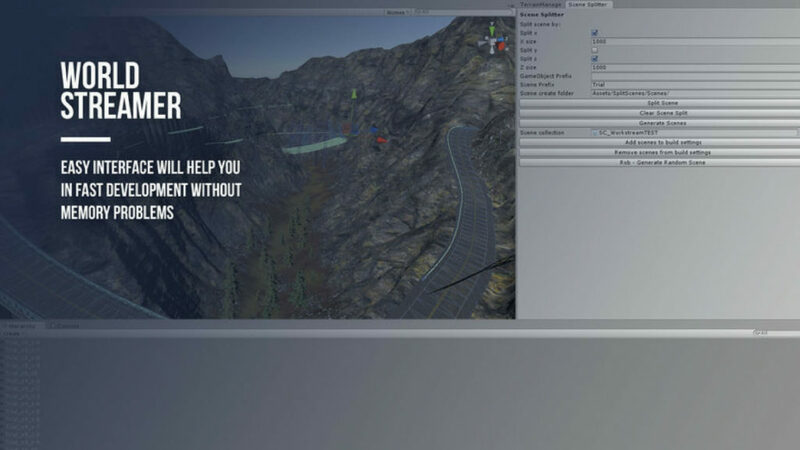 Now you are able to stream your open world from disc in few clicks.